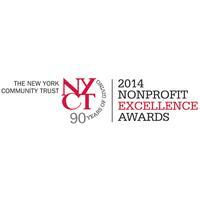 WNYC is a media partner for The New York Community Trust Nonprofit Excellence Awards. Educating New Yorkers about top management practices in nonprofit organizations. 10 semi finalists were recently announced. WNYC is a media partner of Target First Saturdays at the Brooklyn Museum. Open to all. This Saturday, a celebration of the Caribbean communities in and around Brooklyn through music, film, and dance. WNYC is a media partner of the AFROPUNK Festival Saturday, August 23 and Sunday, August 24 at Commodore Barry Park Brooklyn. Featuring D’Angelo, Lianne La Havas and Meshell Ndegeocello.